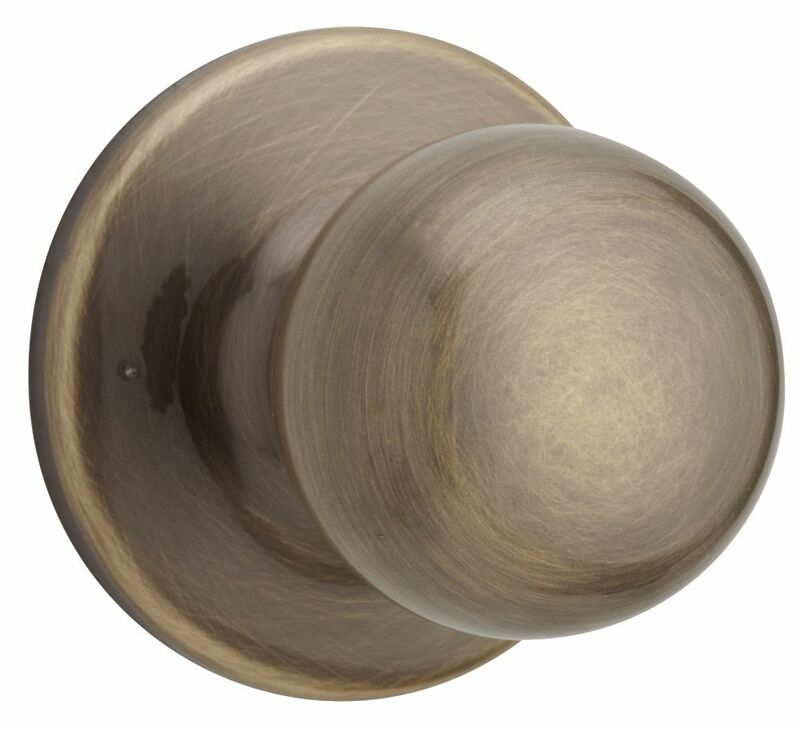 Fairfax Antique Brass Passage Knob The Elements Series<sup></sup> provides an expanded choice in Fashion Doorware at an affordable price. In decorating your home, choosing the right paint, wallpaper, tile and trim is important in creating a personal design. The Elements Series of Fashion Doorware will support and enhance your decorating decisions. Simple, elegant, and clean, the Fairfax knobs fits snug in the palm of your hand This passage knob/lever is best used in interior hall and closet applications where no locking is required. The knob/lever is reversible and mounts on both left and right handed doors. The complementary Antique Brass finish offers a warm feel with deep accents in the contours of the product.